Why Is Testing So Important In Retail and How To Do It Right? 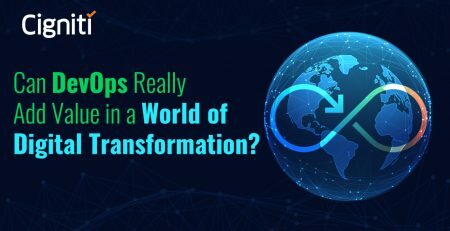 With the emergence of advanced technologies, and increased usage of internet and mobile devices, the retail industry has witnessed a rapid shift in consumer buying behavior and the way global retailers do their business. Since customers are looking for a sophisticated shopping experience, ‘offering seamless customer experience’ across all available retail channels – mobile devices, the web, brick-and-mortar stores, television, email, radio, etc. – has taken the center stage. The online retail market is growing significantly around the world. More so, retailers across the globe are transforming their relationships with their customers by offering an omnichannel shopping experience. Have a look at the infographic “Globe Online Retail Spending” for latest statistics and trends. Many retailers worldwide are revamping their business operations by adopting the Omnichannel retailing model. As a means of measuring omnichannel retailing maturity, presence, and success in 19 countries and regions as well as in nine retail segments, PwC has developed Global Omnichannel Retail Index. As retailers do business via their online, mobile and point-of-sale technologies, the quality of these channels is crucial to remain relevant in the ever-evolving industry. 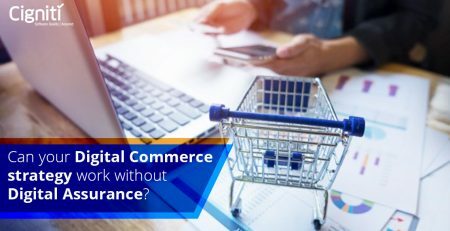 The success of omnichannel retailing is assessed by the integration of digital and non-digital channels, and the security, performance and delivery that it offers. So as to achieve success in Omnichannel, retailers must look into their retail systems through the eyes of the consumer with an aim to enhance their experience across all the channels available. The Omnichannel retailing observes that the customers start through one channel and move on to another as they progress towards conclusion their purchasing journey. For example, they may see an advertisement for a product on television, do their online research about it, and use their tablet or smartphone to purchase it. By enabling each channel to serve the customers best at any point in their buying journey, retailers can improve the brand awareness, drive loyalty, and increase sales domestically and overseas and eventually business value. Mobile testing – ensures functionality, performance, usability and consistency of your mobile applications that enable business. Compatibility testing – helps determine whether your software application or product functions correctly across different browsers, database, hardware, operating systems, mobile devices and networks. Regression testing – makes sure that the new features or enhancements to the system/application do not adversely impact the existing quality of the applications. Retailers require an experienced testing partner to provide innovative and personalized shopping experience with high-quality services to their customers. As an independent software testing services vendor, with 17+ years of experience, Cigniti has been working closely with renowned clients from retail industry across the globe on testing their Omnichannel initiatives. Write to us to know how we can help you improve performance and functionality of your retail systems. 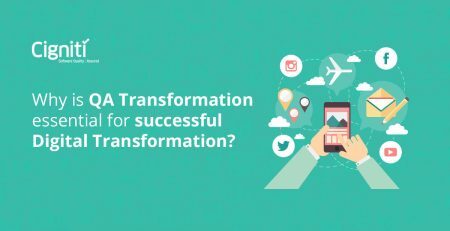 Why is QA Transformation essential for successful Digital Transformation?